As England pathetically crashed out to Iceland after a lacklustre, turgid display in Nice, two men walked away from the game having not kicked a ball at Euro 2016 – John Stones and Ross Barkley, Everton’s young enigmas. It is probably a blessing that the two don’t have their CVs tarnished with being in England’s worst Euro side to qualify for over 20 years, but the fact is England could’ve done so much better if Hodgson had looked beyond favourites and given the young Blues a chance. It was an opportunity for the youngsters to show the world what they could do, and Hodgson refused them – instead preferring players like Gary Cahill, Adam Lallana, and Raheem Sterling. 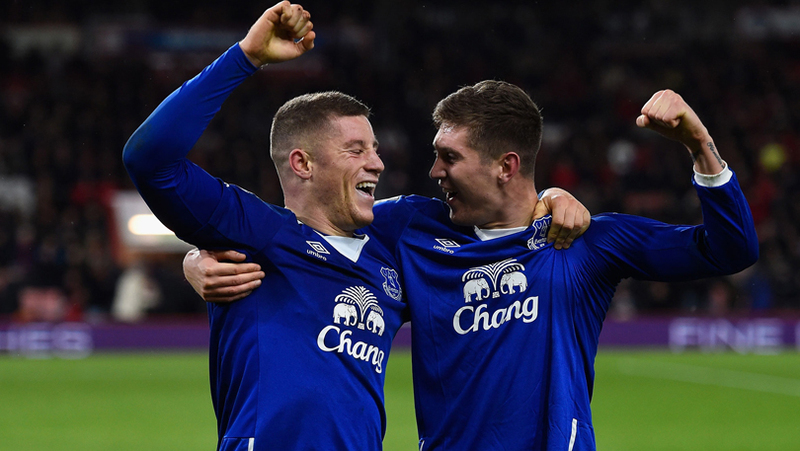 Both Stones and Barkley would’ve made a telling impact had they played – here’s why. Upon seeing the draw for the group stage, Hodgson must have known that England would enjoy the lion’s share of possession in all of their games, and would have to build slowly from the back in order to penetrate defences. Cahill and Smalling passed the ball on from their positions whenever they received the ball, neither of them possessing the quality to take it out from defence and create space for attackers to move into. This resulted in a static midfield and constant backwards and sideways passing from England that offered little in terms of creating opportunities for the attacking players to get on the front foot. Had Stones played, England could have brought the ball out from the back and attracted players to press Stones, which would have created space for the midfield to receive the ball and start attacking moves. The fact that Hodgson could not see the benefits of having a ball-playing centre half in a game where your team is the clear favourite is evidence of his inability to keep up with the times in modern football. In addition to this, Stones has exceptional composure and calmness in his defensive duties – sometimes he is too calm, admittedly – but rather a cool head at the back than fearful panic. The timid England side we saw would’ve been mightily improved through the presence of a confident, sometimes unflappable John Stones. The panic in defence we saw for Iceland’s second goal, where neither centre back even attempted a tackle, is evidence of a defence totally lacking in clear headed decision making. We can see that Stones would’ve improved England both from an attacking and defensive perspective, and he should feel very hard done by Roy Hodgson at the fact he was frozen out of an England side that needed him so badly. Ross Barkley went in to Euro 2016 after a season in which he registered 12 goals and 8 assists in all competitions. Compare that to Adam Lallana, who registered 7 goals and 7 assists throughout the season. But who did Roy play? Yep. Lallana. The fact that Barkley had better stats in the 2015/16 season than every single midfielder England took to the Euros at least warrants the lad a few minutes doesn’t it? Not in Hodgson’s book. Barkley looked on from the bench as Alli, Lallana and Sterling provided zero service or attacking threats in England’s attack. Barkley’s form going into the Euros was poor – every Evertonian will concede that. But the fact that he got no opportunities at all to show his class, compared to the minutes clocked up by the dire Kane, Alli and co, suggest close-mindedness from a coach whose role when appointed was to assist the development of the next generation of English players, not pander to the whims of Liverpool, United and Tottenham fans. In terms of tactics, too, Barkley would’ve been a good fit. His ability to beat a man far surpasses that of Dele Alli and in such tight conditions that England played in, his knack for bypassing defenders was missed in a side that only went sideward and backwards all tournament. His physical presence would’ve also made him a good focal point for balls into the middle to hold up and being the attacking full backs into play, as opposed to the rather slighter frame of Alli who was bested in most of his physical duels at the Euros. Barkley’s time will come again, but he, like Stones, should feel very aggrieved their talents were overlooked by a manager who should’ve known better. Stones and Barkley will be no better and no worse players than they were going into the Euros. They may even draw motivation from their snub and kick on under new manager Koeman in 16/17. Hodgson however, should reflect on his decision not to play the pair with regret – it is just another failure to add to his leafy collection he amassed as England boss. Barkley and Stones will get their chance in Russia, and they better do well, or I’ll look like a knob. PreviousCelebrating Differences NextOur new free Everton news app!